In this trip, you will enjoy a first-hand experience as a fisherman. 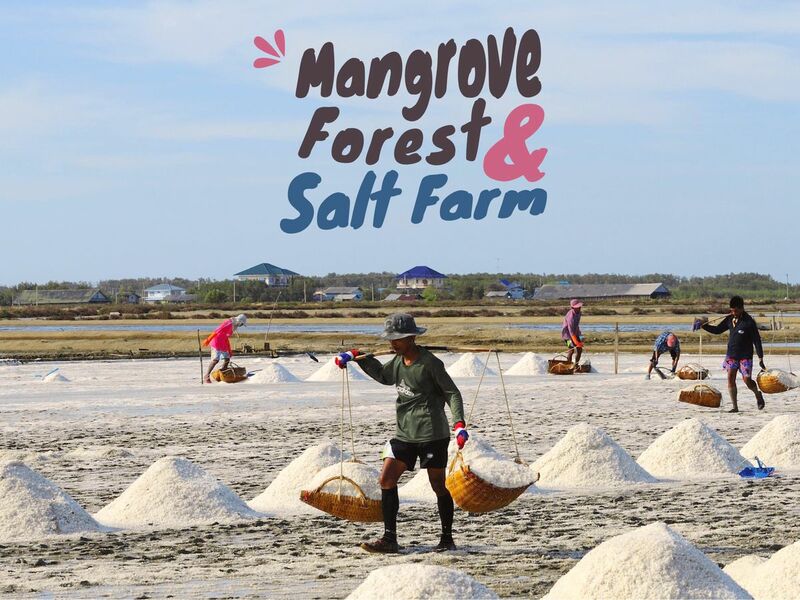 Cook organic seafood, walk with your bare feet in a salt farm, and marvel at the panoramic view of the Gulf of Thailand at a mangrove forest. Arrive at the salt farm. Take a walk in the salt farm, learn how salt is made and take pictures with a traditional salt storage. Then enjoy tea and coffee and shop for organic young sea salt from the original place. Arrive at the pier and take a 5-10 minute boat ride to Saen Tor Community. You can enjoy a marvelous view of the mangrove forest along the canal. Arrive at Auntie Sim's place. Enjoy our cooking workshop, kayaking, and cockle picking. If you are looking for a peaceful seashore place with no road and enjoy organic seafood in Bangkok, here is a hidden jewel even local Thai people find it hard. Both "Saen Tor" and salt farm are the real agriculture lives that you can touch. "Saen Tor" community is located in Bangkhunthien district.It is the only one district in Bangkok which is located adjacent to the Gulf of Thailand with only 5 Km. stretch seaside.You have to take 5 minutes boat to get there because no road pass through. At "Saen Tor" community, you can enjoy cockle picking, cooking Thai local seafood and other activities i.e.kayaking. At the salt farm, you can experience sea salt harvesting and natural sea salt feet spa by walking in the sea bed with your bare feet. If you would like to try cockle picking, please bring clothes, shampoo, shower gel and towel and a plastic bag for wet clothes with you.